SAN DIEGO — Scott Nalbandian, Elliot Abbey, Sebastian Green and Ethan Kuo were part of the second wave of freshmen basketball players at Pacific Ridge High School in Carlsbad, which opened in 2007 and completed the first phase of its renovated campus in 2010 — which was also its first season competing in varsity basketball. The quartet started playing in 2011 on a team that won eight games. The next year, the team won eight games. A year ago, the team won 11 games. But each year, the Firebirds could not get out of the first round of the playoffs, losing in competitive games each season. Boy, did they break through during their final hurrah. Kuo, a 5-9 point guard, nailed a three pointer from the left wing with 14.9 seconds to go to give the second-seeded Firebirds a one-point lead over the ninth-seeded El Capitan Vaqueros, and Nalbandian sank a pair of free throws to seal a 58-55 victory in the CIF Division 4 Championship on Saturday morning at Jenny Craig Pavilion. The victory was the 22nd on the season for Pacific Ridge (22-6), doubling its previous high total and giving the school its first CIF basketball title. El Capitan, led by senior guard Ryan Smith and forward Andy Casas, scored 10 unanswered points to start the fourth quarter — including back-to-back threes by junior guard Bryant Irvin — to take a 52-40 lead with 3:52 left in the game. Then, the Firebirds started to climb back, fueled by Green and Nalbandian, who scored the Firebirds next 13 points to cut the lead to 55-53 with 28.4 seconds. After a time out, Nalbandian found Kuo open on the wing for the three. “I was open, so I just looked up, shot it and it went in,” said Kuo, who scored 12 points in the championship game. The Vaqueros had a final chance, and got the look that it wanted when senior forward Robby Callaway snuck behind the defense, but missed a layup with 5 seconds left. Nalbandian secured the rebound after a brief scrum, and was fouled in the process. A win would have capped a dream postseason run for El Capitan, located in Lakeside, as the ninth-seeded team had defeated three higher seeds — including No. 1 Bonita Vista — to advance to the championship. Instead, the dream script went to the Firebirds, a school noted for its high-academic achievement, not necessarily for its athletics programs. None of the players on the team said they expect to play basketball in college, though all are in line for academic scholarships and entrance to some of the top universities in the country. Pacific Ridge advances to the state Division 4 Playoffs, where it is seeded 15th and faces small-school powerhouse Maranatha of Pasadena, which boasts senior guard Tyler Dorsey, who is headed to Oregon on a basketball scholarship. Dorsey, who is participating in the prestigious Jordan Brand Classic All-American Game, averages 33.6 points per game on the season, according to Maxpreps, including 10 games in which he scored 40 or more points. Escondido was the only other North County boys team to win a CIF Divisional Championship. 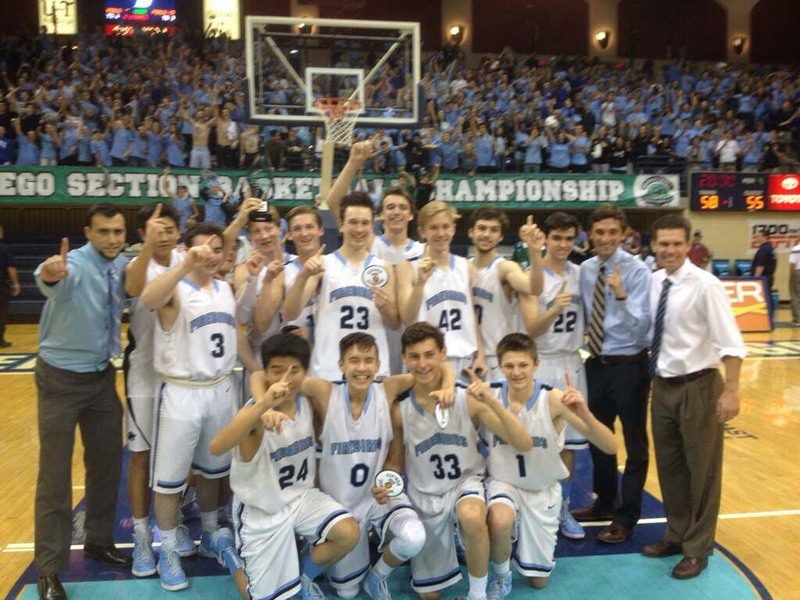 The Cougars defeated top-seeded Morse 63-49 to win the CIF Division 1 crown. Khy Kabellis, who is headed to North Dakota State, led Escondido with 25 points, 11 rebounds, 7 steals and 4 assists. Due to a quirk in the local CIF system, the Division 1 champion does not advance to the state playoffs, so Escondido’s season is over.